By me or featuring me. Diane de Jesús, 35, London, is owner of Piece O Cake Nutrition, a nutrition communications consulting and advisor for Personal Ink (P.ink) – an organisation to connect breast cancer survivors with tattoos artists. In this interview, Diane shares her own experience of breast cancer and how getting a tattoo made her feel about her mastectomy. "Breast cancer will kill an estimated 40,000 women in the USA in 2015. For those who survive, choosing to have breast reconstruction or not is often the first step to personal recovery. The P.iNK (Personal Ink) campaign offers an alternative - free tattoo art over survivors’ mastectomy scars, as a means to rebuild self-confidence in a body transformed by disease. MTV News visited a campaign event in Queens, NYC, and spoke with those drawing inspiration and hope from the tattooist's needle." 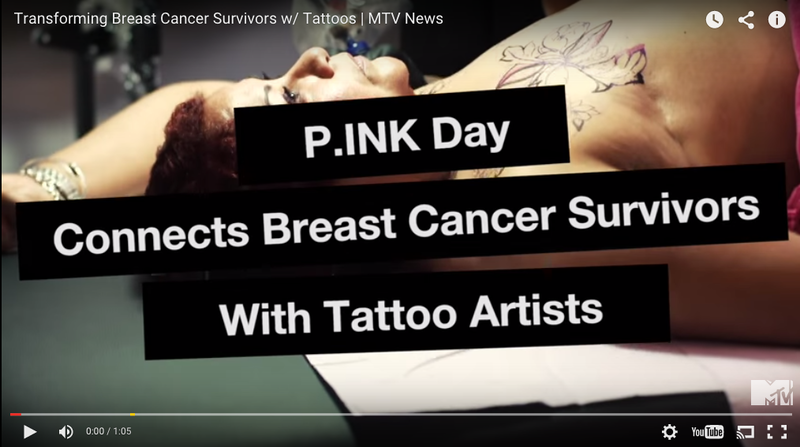 "P.ink (short for “Personal Ink”) helps connect breast cancer survivors with experienced tattoo artists to create decorative mastectomy tattoos that cover up scarring. 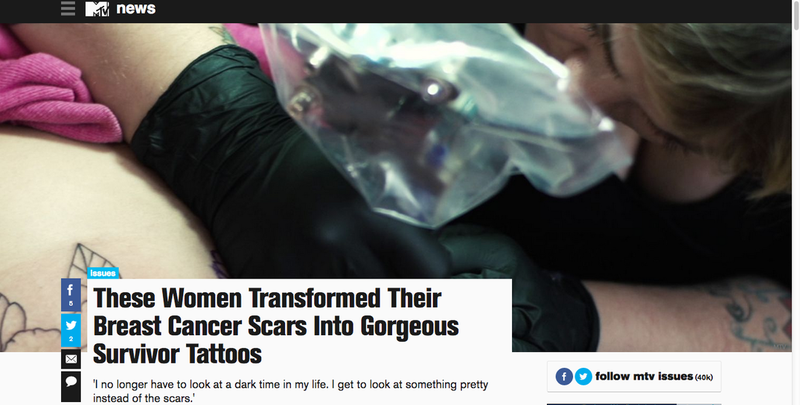 ...One weekend in October, tattoo shops across the country host free, all-day sessions for survivors. What started as a one shop operation in Brooklyn has expanded to 13 locations across the country, with 48 survivor participants in 2015." "Food allergies are on the rise. According to the Centers for Disease Control and Prevention’s National Health Interview Survey, the prevalence of food allergies in children under 18 increased from 3.4 percent to 5.1 percent between 1997 and 2011. You may feel like every kid at your child’s school has an allergy, or you may be managing this serious medical condition within your own family. Here’s what you need to know about one of the most common conditions affecting children in the U.S."
"Breast cancer has touched many of our lives. In honor of Breast Cancer Awareness Month, we will feature the stories of six powerful women who shared with us how their battle with breast cancer impacted their careers and their lives. For some, it put their career in perspective, for others it inspired them to reinvent themselves. Here are their stories in their words." "Pinterest is a “virtual pinboard” that “allows you to organize and share all the beautiful things you find on the web.” Pinterest is the latest social media trend so if you want to stay current, you need to start pinning!"